Lincoln 94532G incorporates both new and proven design features and capabilities. 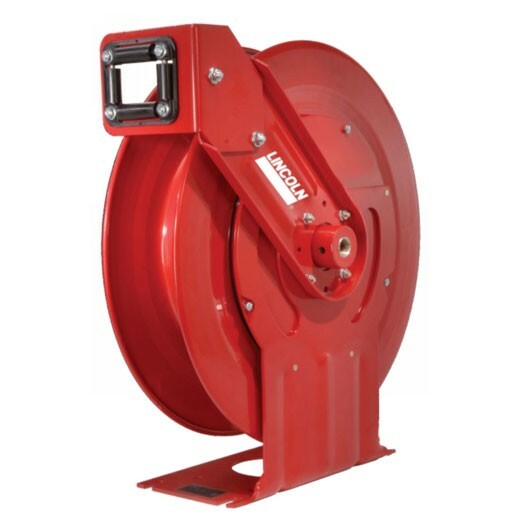 Lincoln's Fluid Reel Series (FRS) incorporates both new and proven design features and capabilities. Duro Reels 1427 is a 1/4" X 30' Standard Duty Grease Hose Reel with Hose. Ideal for service station, garage, tire centers or factory where orderly dispensing of water or compressed air may be required. 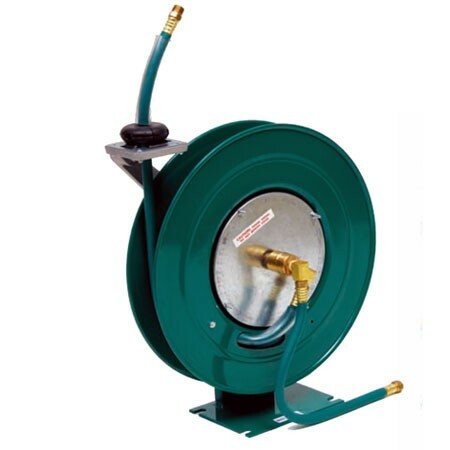 Duro Reels 1430 is a 3/8" X 30' Standard Duty Grease Hose Reel with Hose. Ideal for service station, garage, tire centers or factory where orderly dispensing of water or compressed air may be required. 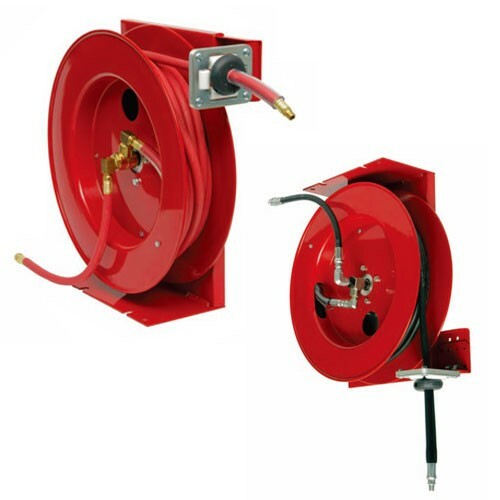 Duro Reels 1315 1/4" X 50' Heavy Duty Grease Hose Reel is ideal for large service areas where longer hose lengths are required. Duro Reels 1320 3/8" X 50' Heavy Duty Grease Hose Reel is ideal for large service areas where longer hose lengths are required. 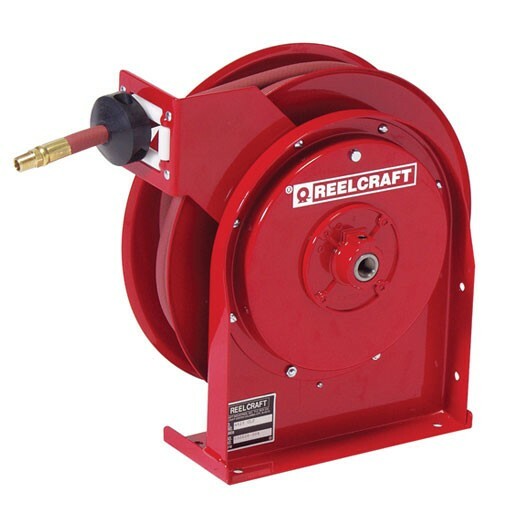 Duro Reels 1313 1/4" X 30' Heavy Duty Grease Hose Reel is ideal for large service areas where longer hose lengths are required. 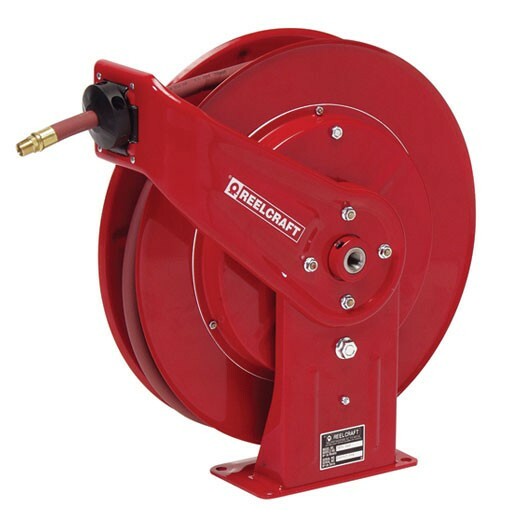 Duro Reels 1318 3/8" X 30' Heavy Duty Grease Hose Reel is ideal for large service areas where longer hose lengths are required.